But that also means potentially I skim over passages that might otherwise jump out at me, right? Also, it’s NIV, and for quite a while now, I’ve been considering making the switch to a chronological bible. This year I finally did it! Since I’m a bible hoarder, that took a lot, trust me. lol. Every time I stand in front of my bookshelf, I steal a glance at my comfortable and worn bible, but I force myself to stay the course and reach for the new one. Before long, this pretty baby will be full of notes and highlights, too. 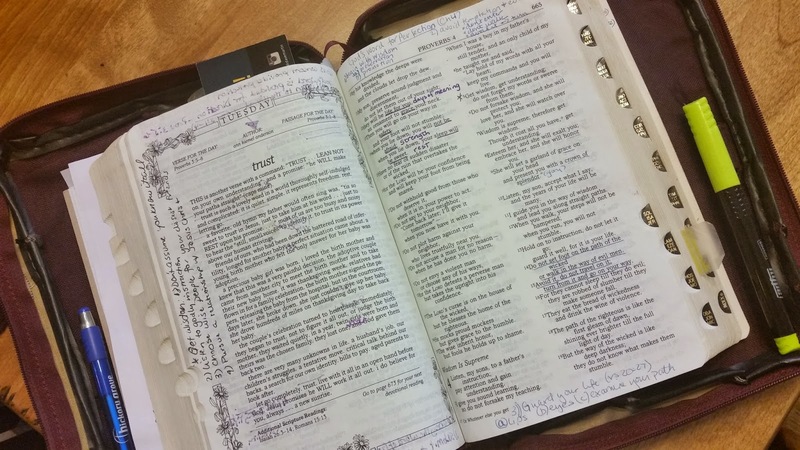 If you hate marking up your bibles, you’re probably cringing about now, but I just love reading my notes from past years and pondering my spiritual journey. One person I know reads a bible each year, and then when she finishes, gifts it to a grandchild as a spiritual legacy. That’s a cool idea, don’t you think? Maybe one day, but for now, I’m happy with my baby steps. What about you? Do you hang onto bibles forever? What prompts you to switch? I'd love to know how you like the chronological Bible. I don't think I'd want it for my everyday reading, but it would come in handy for the Old Testament, in particular. Yes, I have my mom's old KJV and one I received when I was seven or eight(?). I never started marking one until recently. This is an interesting post! I can't mark in my Bible. It has to do with the pages not being thick enough. I can see it through the page and then you can't read it. I do take notes though in a notebook. I have a Bible from my grandfather, and the Birth and Death pages that lists my great grandfather's family. I can't throw a Bible away. I have all the ones I've gotten through the years. Right now I am reading a Chronological Bible, God's Word translation Bible, and a Journey Bible. I also have a Bible that has different tracks you can read to read through the Bible: a fast track, a leisurely track, and a scenic route. It's a lot of fun to read because you are skipping around and reading different things. 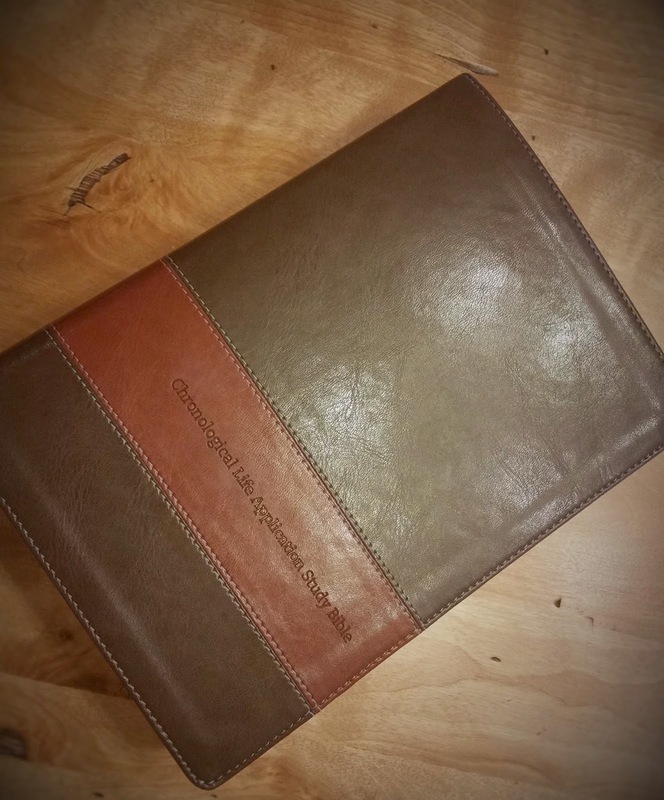 I love the idea of a spiritual legacy Bible. Great post! Dora, I hoard Bibles, too! I still have the one I won for memorizing the most Bible verses when I was 14. I had little to no experience with the Bible prior to that time and I devoured it! I have another one that hubs and I got when we got married, both are falling apart, but I just can't let them go. All told, I think I have about 12 Bibles. They are frayed, falling apart and tattered, but I love them all, they represent different times in my life and are truly treasured. One funny thing about my Bibles and books; I can highlight, mark in and make notes in all my Bibles, but I just can not with books. Even with my textbooks. Funny, huh? I have a theory as to why, but I'm not sure so I won't bore you with the details. Most of my Bibles are KJV, but I also have side by side versions, an archeological one and several other translations, but I think KJV wins because that translation was the first experience I had with the Bible. Oh, now I'm curious. I've never had a problem marking up a bible or a textbook, but I usually go easy on books because i donate them to the library. Thanks for your kind words, Robbye. I enjoy popping in your blog, too. Hugs!